Write a C program to check if an array of integers contains a 3 next to a 3 or a 5 next to a 5 or both. 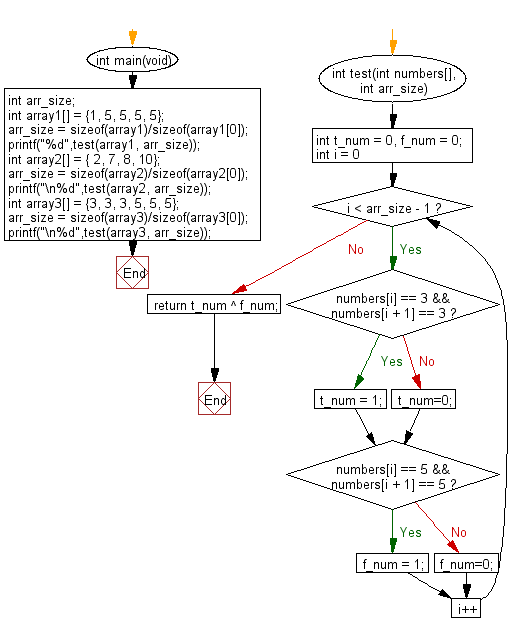 Previous: Write a C program to check if a given array of integers contains no 3 or a 5. Next: Write a C program to check a given array of integers and return true if the given array contains two 5's next to each other, or two 5 separated by one element.